In this day and age, most new homes are built with no less than a three-car garage. Uhhhhh, yeah, a bit excessive if you ask me (but I DO really wish I had that much space). Garage door maintenance is a big issue that today’s homeowner must face. 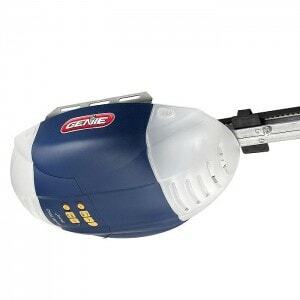 When a garage door opener takes a dump (and trust me, they always will, usually within 7-10 years), many folks will just settle with raising the door by hand or not even using it any longer. What a waste! You have options, though. The problem could be a stripped gear in the opener. The gears are designed to take only so much resistance before they give out; this saves the motor and other parts from failure. You can usually buy a rebuild kit that includes replacement gears, sprocket, bearings, grease, and washers ($25-$50). This can usually be installed in a few hours. Keep in mind, there may be other problems that this will not solve. The door may not be moving freely, the electronics in the opener may be faulty, or there may be issues with the chain or belt drive. Sounds like a migraine, eh? Here is what I usually recommend. Call me crazy, but I would replace the entire garage door opener. GENIE manufactures a 1/2 HP Whisper Drive garage door opener which sells for $129 bucks in most stores. If you time it right, you can get a rebate at Menards (surprise, surprise) for $40 off. That brings the total cost down to $89 for a brand new garage door opener! Cut your losses and put the money that you would have spent for a rebuild kit toward a new unit. And let me tell you, they mean it when they say “whisper” quiet. These things aren’t much louder than your Wii starting up! I install garage door openers for a flat rate ($150) and will pick up all materials, if you wish. The job will usually take about one day to complete, and this includes removal of your old opener. You can’t beat the price of under $275 bucks to once again have the ease and comfort of a working garage door. Call to set up an appointment, and I’ll keep watching those sales.